Tough teeth stains and risk of oral diseases can be a distant memory when you regularly seek the services of our dental hygienist in Much Hadham, Hertfordshire. Our dental hygienists play a huge role in the prevention of oral diseases. Our professional cleaning treatments take care of areas our patients do not usually reach with regular brushing. Patients walk out of surgeries with fresher breath, brighter teeth and light, clean feeling. We make sure to develop a healthy professional relationship with our patients and guide them on at-home dental care. With regular visits, our hygienists and patients can work together to have healthier gums and teeth. To help you keep your teeth in optimum condition, help prevent gum disease and for a nicer bright smile with a fresh breath it is of the utmost importance to keep an effective oral hygiene regime. A healthy mouth is one of the most visible signs of overall health. With regular hygiene appointments the hygienist will remove plaque, tartar (calculus) and stains from your teeth, this is important for maintaining the appearance and well-being of your teeth. Oral hygiene improves not only the condition of your teeth and gums but also your self-confidence. With children, it is important to establish a healthy routine looking after their teeth. This will minimise the need for future dental treatment. Airflow is a modern cosmetic treatment that results in whiter teeth. No risk of damaging your teeth. You will see the results immediately. It works through the combined power of Air, Sodium bicarbonate and a jet of water. For the best results some minor de-scaling may be required, we will be able to advise you when you visit us. Tea, coffee and red wine staining will be a thing of the past. Smokers will be pleased to know that Airflow is also very effective against nicotine staining. 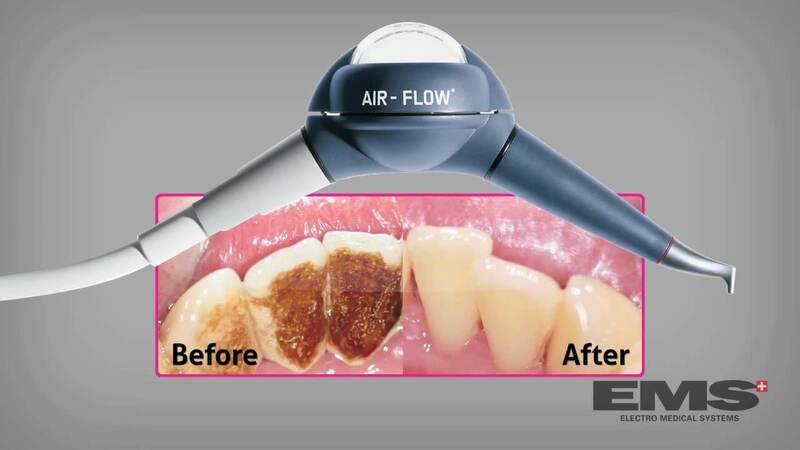 Airflow will leave you with a great smile and fresh clean feel to your teeth. We are pleased to accept patients from across Hertfordshire including the local towns of Bishops Stortford, Ware, Much Hadham and further afield.